Ever wanted to rent a Rigid Inflatable Boat (RIB) for a blast on Dublin Bay? Here's your chance. The Irish National Sailing School's 4.5m RIBTECs fitted with Yamaha 40hp engines are ideal for trips around the capital's waters. 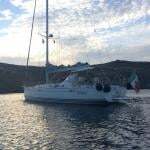 Included in the price of a three hour charter at €115 is a full tank of fuel. The operating area for these boats is Dublin Bay, south of the shipping lane and as far East as Dalkey Island. The minimum qualification required to rent the boat is a National Powerboat Certificate (Level 2). 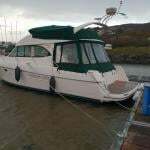 For more details on the offer check out the listing on Afloat's Marketplace here.